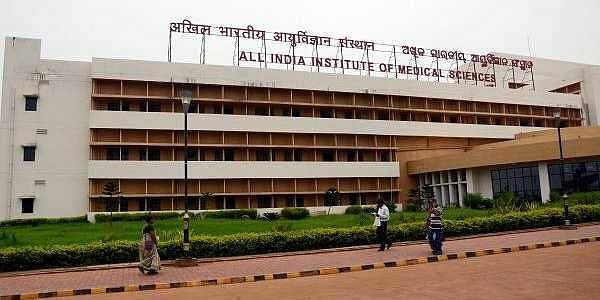 BHUBANESWAR: The authorities of All-India Institute of Medical Sciences (AIIMS), Bhubaneswar on Saturday refuted media reports that claimed a portion of concrete chunk fell off ceiling of the Out Patient Department (OPD) building. AIIMS Director Gitanjali Batmanabane said a portion of gypsum ceiling was opened for maintenance and repair works as it was looking shabby. The construction agency L&T is carrying out the repair work, she added. On the condition of Trauma Care building, Batmanabane, however, clarified that the cracks were developed after substantial settling of peripheral as well as internal walls. “The settling led to development of cracks on the brick walls. The Central Public Works Department (CPWD) has recommended that the existing wall be dismantled and new wall constructed with light weight blocks resting on plinth beams. The existing floor will also be replaced with RCC flooring,” she informed. One side of the wall of its Trauma Care Unit subsided following cracks forcing the hospital authorities to shift 25 patients to PMR block on Thursday. Since the main hospital building is yet to be completed by L&T, the Director said there is a proposal for quality check by an independent agency before the final bill is paid. Tension prevailed on the hospital campus as security guards prevented entry of a group of mediapersons who wanted to videograph the ceiling of the OPD. The AIIMS is observing its first convocation on August 25. While Vice-President M Venkaiah Naidu is slated to inaugurate the event, Union Health Minister JP Nadda will attend.